Last week, I was delighted to receive an invitation to appear as a guest on Jacci Gooding’s author blog. She asked me to write on any subject of my choice, but when I read her recent post about what inspires her stories, I decided to respond in kind. 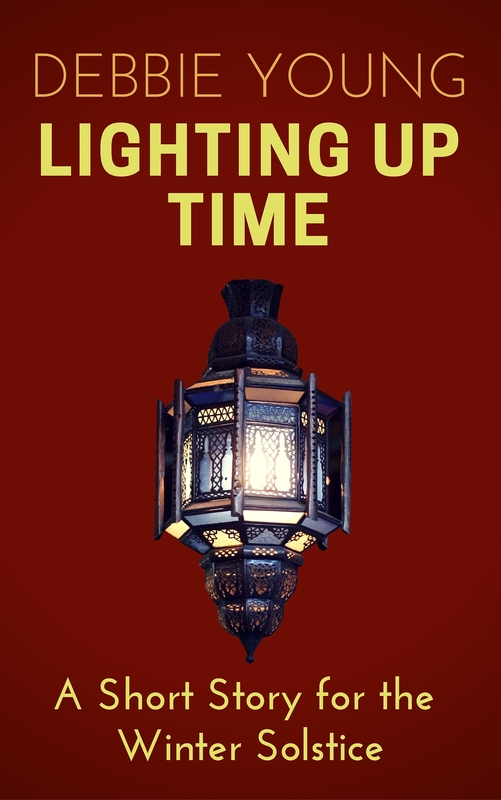 In my guest post, I share the observations that led to some of the stories in my Christmas collection, Stocking Fillers, in my flash fiction collection Quick Change, and my most topical story of the moment, “Lighting Up Time”, which is set at the winter solstice (21st December in the northern hemisphere). Read about what sparks my stories on Jacci’s blog here. But It Is Fiction, Isn’t It? Many fiction authors are horrified when readers jump to the conclusion that their work is autobiographical, or when they claim to have spotted themselves as a character in a story, despite the legal disclaimers that appear in every work of fiction that any resemblance to reality is purely coincidental. My Canadian author friend Francis Guenette writes amusingly about that dilemma on the ALLi blog (of which I’m Commissioning Editor) in this post: It’s Fiction, People! Can any fiction author ever really write a story that hasn’t been sparked by real life in some shape or form? I’m not sure – nor am I convinced that such a story would be worth reading – and what I’ve read of both Jacci’s and Francis’s work is very definitely worth reading! For more information about my fiction, check out my fiction section. If you’re an author, what sets your imagination alight? And as a reader, does it matter to you whether fiction has its basis in fact? Please join the conversation! Yes: why do people joke about ‘I’ll put you in my novel’ , or ‘Have you put me in your novel!’ The second comment is more about them than about us … I’d never put someone in my novel: people are far more complex than what we see of them, how could one do it to any degree of accuracy? And I wouldn’t want to, either. Having said that, it is of course inevitable that some degree of our own lives, esp our emotional lives, will be in what we write. Hard to write totally what one has never known. Research a historical period, and it’s going to be filtered through today’s way of thinking … However, I suspect some people deliberately write more ‘thinly disguised autobiography’ than others.